A Roma woman was arrested Thursday evening on multiple voter fraud charges relating to the November 2018 general election, confirmed 229th District Attorney Omar Escobar. Modesta Vela, 60, was arrested by investigators with the 229th District Attorney’s Office on felony charges of illegal voting, knowingly possessing a ballot or ballot envelope of another person with the intent to defraud, and election fraud, in addition to a misdemeanor unlawful assistance of a voter charge. 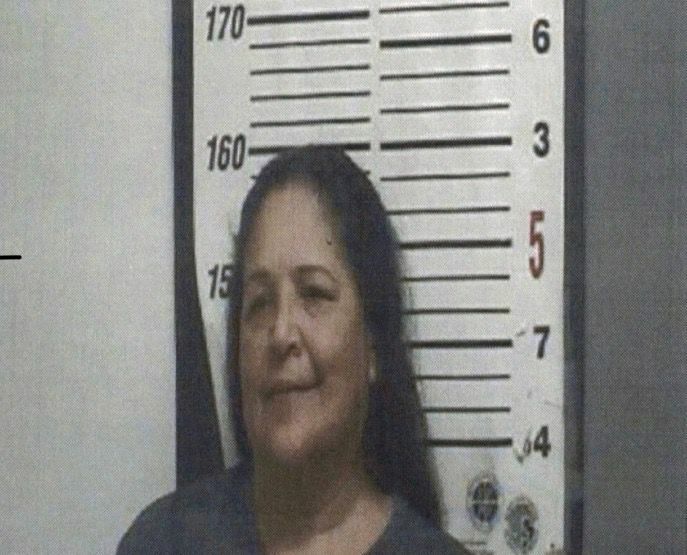 Starr County Court-at-Law Judge Romero Molina set her bond for all four charges at $145,000, according to Maj. Carlos Delgado, spokesman for the Starr County Sheriff’s Office, who noted Vela was released from jail on bond Thursday evening. The DA’s office began investigating Vela approximately eight days ago, Escobar said, after an individual notified the Starr County Elections Department of allegations that Vela approached an elderly voter in Roma and took the voter’s absentee ballot for the upcoming election, filled it out herself and mailed it. Investigators with the DA’s office stopped Vela on the road Thursday evening and advised her there was a warrant for her arrest, Escobar said. A call to the number Alvarez listed on her candidate application went unanswered. The Texas Attorney General’s voter fraud unit assisted the DA’s office as to “how to investigate this matter and what evidence to obtain,” Escobar said. Vela, who was employed by Starr County Precinct 2 until her termination in early 2018, was previously arrested in 2010 on a misdemeanor voter fraud charge after she allegedly failed to sign at least 10 to 20 mail-in ballots she helped prepare, according to The Monitor archives. Escobar said he did not know what the outcome of that case was, but noted Vela assisted more than 200 people request ballots by mail during Starr County’s March 2018 Democratic primary election. He said he did not know whether Vela worked for any candidate. The DA’s office launched a voter fraud investigation in January of this year into previous elections, which has resulted in several arrests. “It’s pretty clear that the legislature is trying to curb voter fraud in mail-in ballots … Do a quick review of every single election contest in the Valley and the state (and) there’s almost always an allegation of fraud involving mail-in ballots,” Escobar said, citing the Mission election trial. The DA also stressed that per Texas law, if a voter who receives an absentee ballot is physically able to collect and send their own mail, they must mail in their ballot themselves. “Nobody else should have your ballot,” Escobar said.